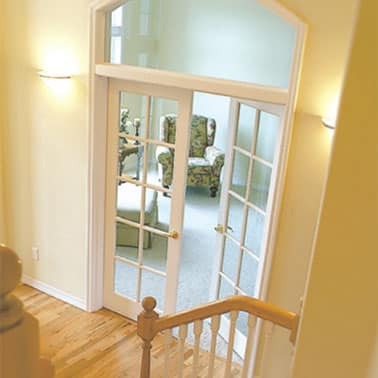 Our French Doors are available in a number of styles to fit your home décor. Just pair the wood and glass treatment of your choice. 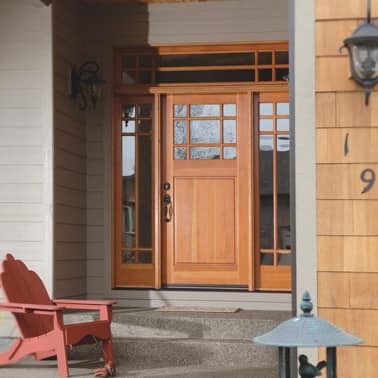 When you purchase a Rogue Valley Door, you are buying the finest product from America's largest wood door maker. Made In U.S.A. - Our Doors are made in the U.S.A. and constructed using all domestically manufactured components. 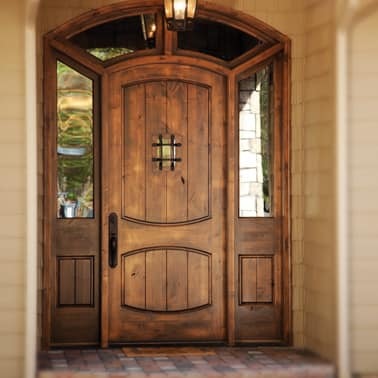 Handcraftsmanship - There is simply no machine capable of finishing a fine wooden door better than a man's hands. 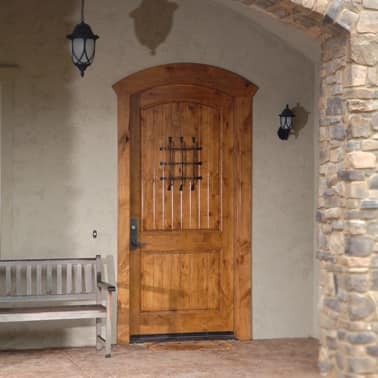 Each Rogue Valley Door is handcrafted to assure the door's beauty and functionality. 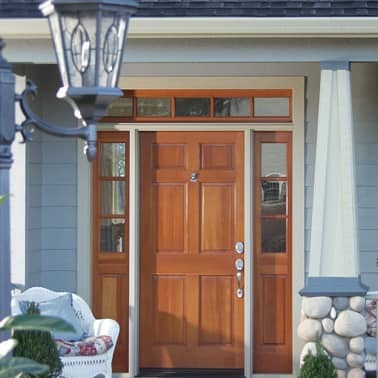 Customization - With Rogue Valley Door, you have the ability to construct a fully custom door for your home. 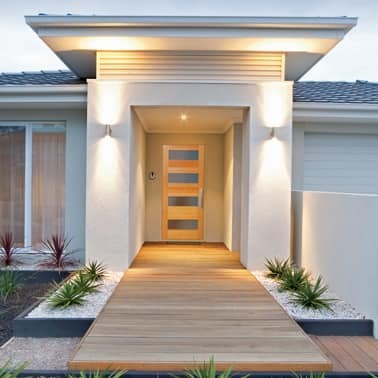 Virtually any design, shape, wood finish or glass treatment is possible. Endless Options - Rogue Valley Door has hundreds of door patterns for you to choose from as well as 40 wood species and 27 glass treatments. 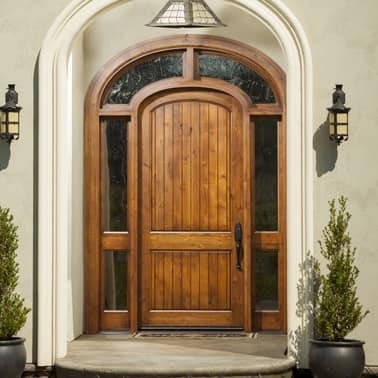 Finest Woods - Fine wood produces fine doors. 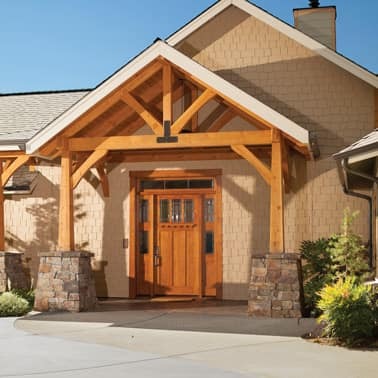 And within walking distance of our manufacturing facility grows some of the world’s finest lumber, including the highest grade Douglas firs and Ponderosa pines we use to craft our doors. 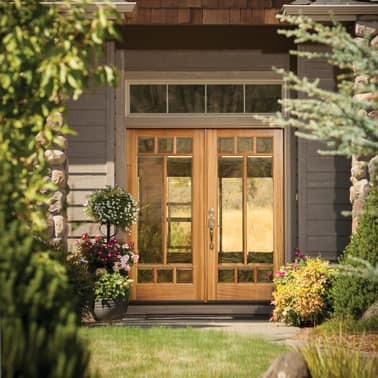 Environmental Commitment - Rogue Valley Door supports realistic environmental practices and sustainable forestry management and includes our Forest Stewardship Council’s (FSC ®) Certification. Our Warranty - We stand behind each and every door we make so you can be assured it will last and perform. Several options are available to make your door more unique through Rogue Premium options. From thicker veneer and Stain Grade to Color Match and Face Pin Inlays. 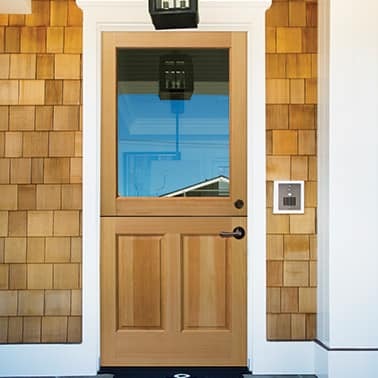 Customize your door to fit your dream and envision. Look at the full line literature on the resource section for more information.